This 3 hour workshop will teach you all the skills required to make two stacking silver rings. 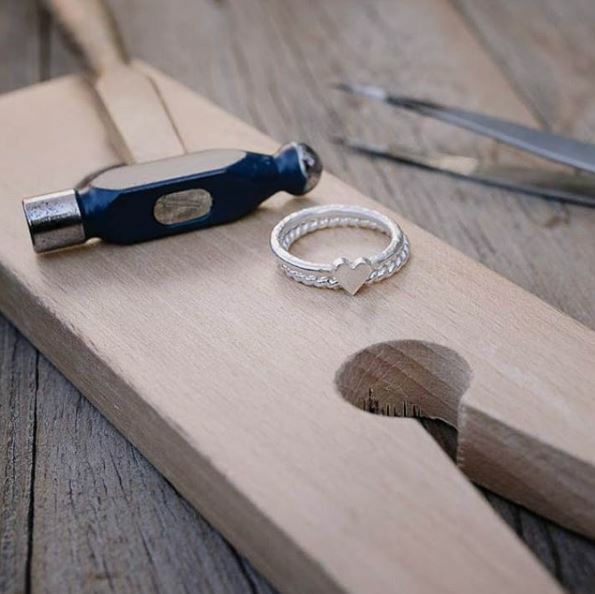 You will learn to measure your ring size and through a range of techniques including soldering, hammering and polishing produce two beautiful rings you can take home with you! ​Taught by the talented Fiona Dowling, a graduate of the Edinburgh College of Art and Royal College of Art in London. Students can also progress from this 3 hour workshop onto our 6 week silver jewellery course starting on the 23rd of April.